• The geographical proximity of France and Belgium is obviously a reality that makes things easier. The distance between Brussels and Paris is 300 km and 1 hour and 20 minutes by high speed train today. What’s more, Brussels is closer to Paris than some French cities. • The ‘cultural’ proximity. Although there are many differences in artistic sensibilities between French-speaking Belgium and France, the links are nonetheless strong. In Belgium’s annual francophone chart in 2011, 10 of the 20 best-selling albums were still French (down from 16 only 5 years ago). For singles in 2011, on the other hand, only 2 French productions were in the 20 bestsellers. Another important element: in television, 30% of the audience on the Francophone side watches French channels. In radio, several French channels have Belgian relays with autonomous but also imported programmes. Finally, it should be noted that the Belgian francophone public is less attached to its artists than other countries or communities. When it does support an artist, it is generally after they have obtained recognition abroad, particularly in France. Hence, in addition to the small size of the territory, there is a need to develop recognition abroad. Before the 1990s, it was mostly Belgian artists who express themselves in French (Brel, obviously, but also Annie Cordy, Maurane or Italo-Belgians such as Adamo, Frédéric François, Claude Barzotti, Lara Fabian,…) and artists with hits in French (Plastic Bertrand, Philippe Lafontaine, Muriel Dacq Mansion brothers) that managed to succeed in France, usually after a major radio/TV presence. Since the end of the 1990s, Belgian artists that manage to make an impression on the French scene have increasingly been the result of a strategy of live performances or on major radio networks. It is also true that in France radio networks were becoming increasingly specialized in musical genres (Hits, RNB, Urban Music, Gold) and based on more limited playlists. French-speaking Belgium has developed artists singing in English since the end of the 1990s (Sharko, Venus, Girls in Hawaii…), whereas our Flemish colleagues have been using English for much longer. After success in French-speaking Belgium, it is overwhelmingly French companies that ensure the international development of French-speaking Belgian artists, whether for sound recording (UMG especially) or in the field of live performance. The first point of entry for our artists in France used to be the Printemps de Bourges, both in the usual programming but especially through the Découvertes Printemps de Bourges (called the Inouïs de Bourges since 2012). These discoveries have enabled groups such as Zap Mama, Venus, Sharko, Girls in Hawaii and others to find French partners, regularly tour there (in general nearly 40 dates a year) and to be signed by record labels. The Découvertes de Bourges are now limited to the different regions of France and French-speaking countries. The MaMa, after its first edition in Bourges and now its presence in Paris, has also become a place to showcase artists both for French and international professionals. So in 2012, we will have 3 artists featured in showcase, 5 with our Flemish friends. Mount special operations. “Sacrés belges/Bloody Belgians” was an operation to increase the visibility of Belgian productions (music mostly but not exclusively) developed in partnership with the city of Arras over 3 years (2002-2004). A partnership that attracted professionals and also the media (local and specialised media first and then entire pages in publications such as Liberation, Le Monde and les Inrocks) which ensured legitimacy for the Belgian music scene and caught the interest of French professionals. Add to this also the growth of the francophone Belgian cinema, actors, comedians and cartoonists… This was the beginning of a general interest in French-speaking Belgian cultural production that has continued since. 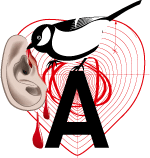 Another connection point for our artists: the Transmusicales de Rennes and also Bars in Trans. For the Transmusicales, exclusivity and discovery are important. Ghinzu took the opportunity, even though the group’s success came a few years after appearing there. The Bars in Trans, very much followed by professionals, also allowed francophone Belgian groups to be discovered. Europavox festival is also a good point of entry for France. In addition, the fact it recently joined a major network of contemporary music is an added advantage. Another strategy is to invite professionals to Belgium’s major francophone festivals. Essentially 2 in rock/pop: les Nuits Botanique and the Dour festival. These two major events are the subject of media coverage / partnerships with French media. A large delegation of French professionals is also present (festivals through the De Concert network, record companies, artistic agencies and civil societies). From time to time, a day is specifically devoted to Belgian artists. 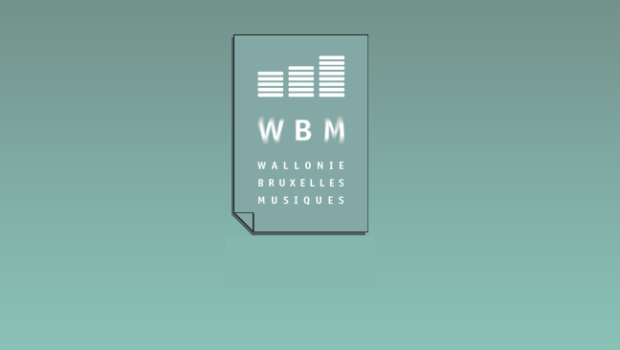 Finally, Wallonie-Bruxelles Musique conducts media promotion. On the one hand, a partnership with a “talent scout” radio, Radio Neo that covers Paris, Bourges and Toulouse. On the other hand, joint work with French professionals for the promotion of music from French-speaking countries to global radio and sync opportunities through the Francophonie Diffusion platform. Last but not least, cross-financing (French and Belgian companies), groups of operators (PIAS which took over Distrisound which had merged with Bang), and the fact that there is a major European independent based in Belgium (PIAS), have also opened doors in France and abroad. When analysing modern music and concert contracts obtained by French-speaking Belgians abroad, France is still the most-visited country. In 2011, this represented 61.6% of the concerts compared to 49.70% in 2010 and 58.05% in 2009. The 2011 numbers vary according to the genre of music: chanson (76.3%); rock/pop/electro (67.8%); jazz (60.5); and world music (23.9%). Looking at the statistics for support for tours promoting francophone albums, figures for France vary between 54 and 73% depending on the year. In terms of authors’ rights, Belgium (Sabam) received €3,270,575 from France (Sacem + SDRM) in the 2011 accounts, the second contributor after the Netherlands, and donated €11,054,907 (the first in terms of rights before the United States).